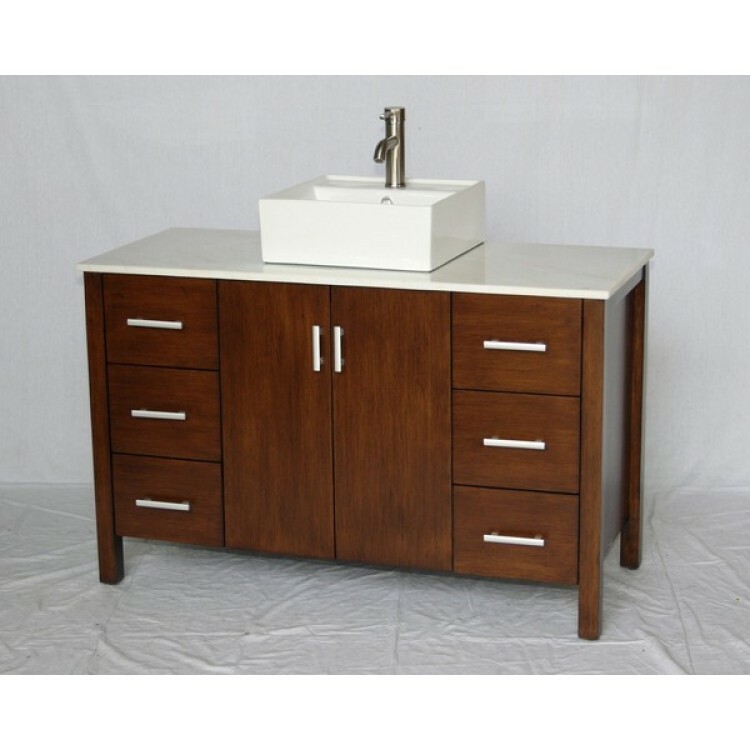 Contemporary style single sink vanity with white color stone countertop, square white color porcelain sink, and walnut color wooden cabinet with six drawers and one double door including an internal wooden shelf. Cabinet features soft close doors and drawers. Faucet with single lever handle and pop-up drain in brushed nickel color included.